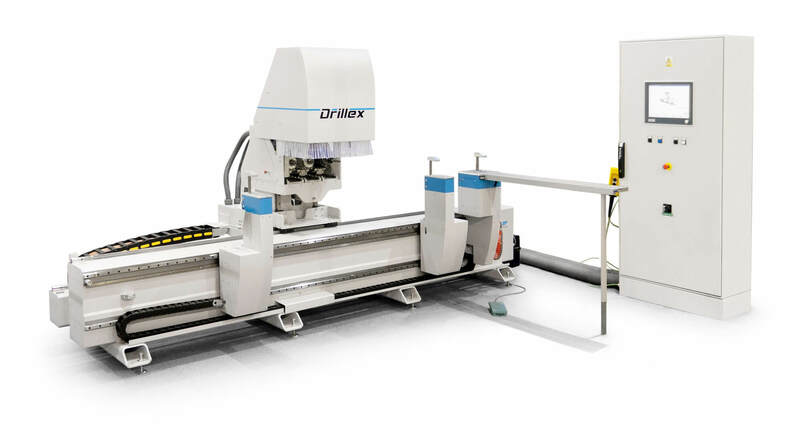 The DRILLEX work center is designed for drilling and milling operations. The stand alone machine can be easily linked to the WIZARD machine, where tenoned and profiled components are processed. Machine is dedicated to work from top and back side. 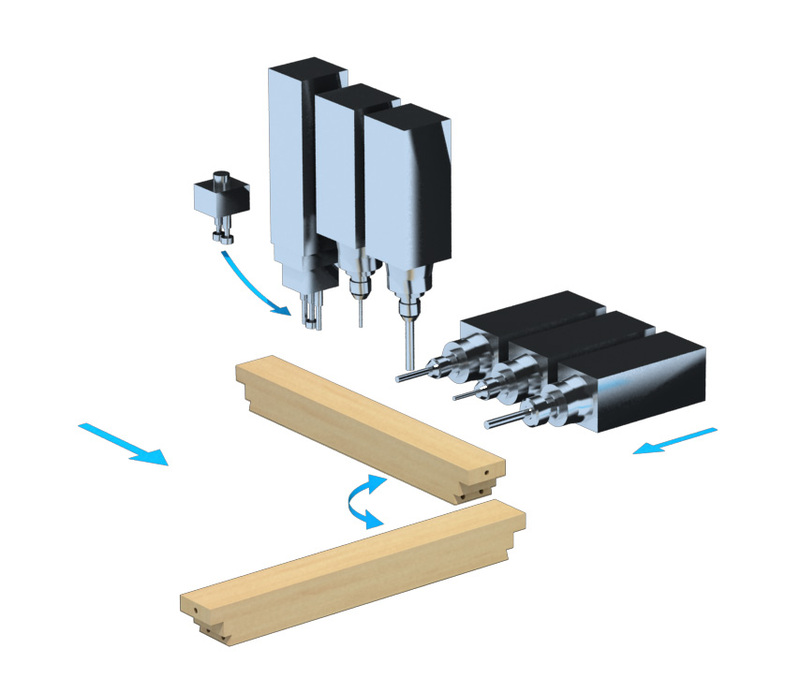 Components which require drilling on the front side or in the heads are machined in single steps and then manually turned. The machine share the same data and when it is equipped by barcode device, also setup of working program is automatic. The operator puts one piece on two moving tables which are set up according to the working program. 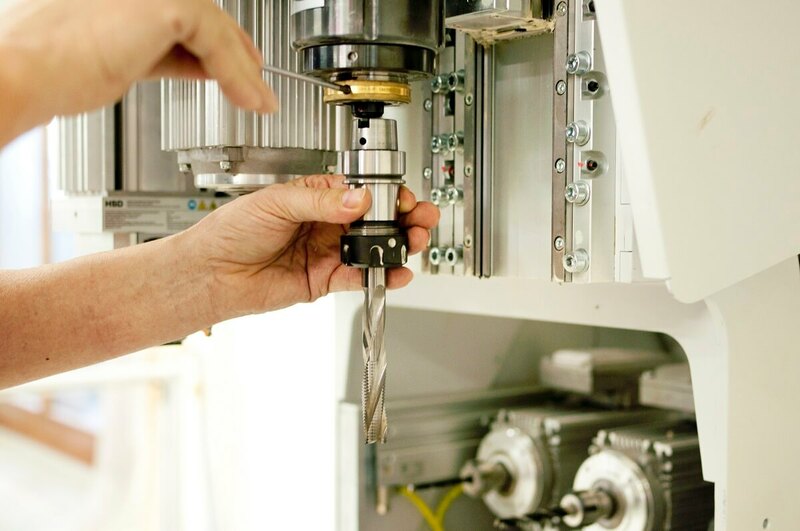 The right table is fixed and serves for long pieces with complicated drilling or milling. Ordinary pieces are clamped by two moving tables only. 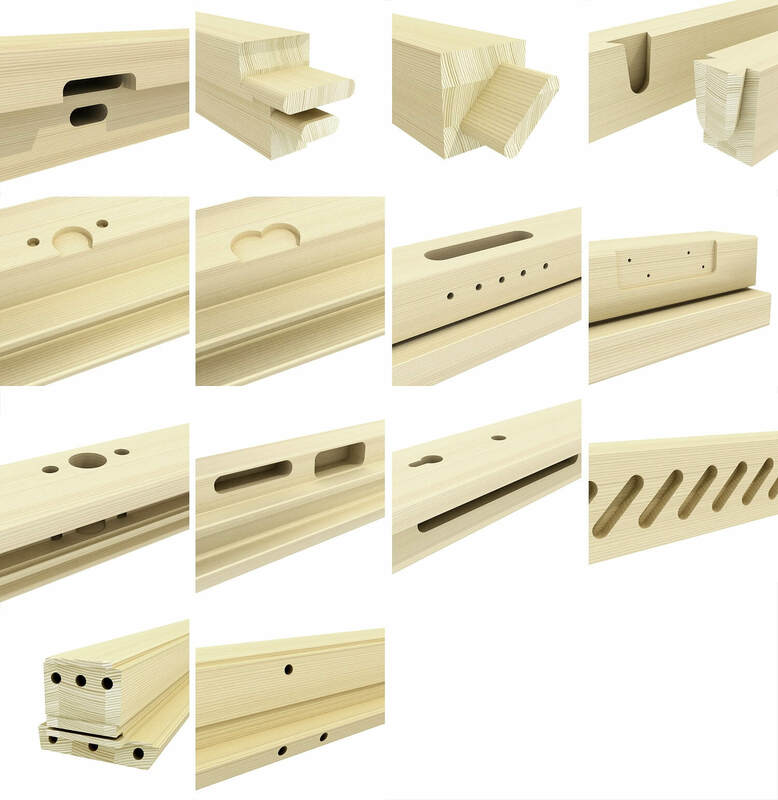 As soon as the timber is fixed, the 3-axis machine makes all drilling operation on the component like holes for hinges, olive, door lock case and dowel drills in longitudinal direction. For drilling from another side the operator turns the piece to get it drilled completely. For the head drilling the operator uses the additional table on the fix clamping table. The machine is linked to the operating program WinCreator or to a third-party software.